I have always found crowdfunding campaigns very exciting and interesting. One day I was surfing twitterland and I found a very appealing one, called ‘Three Days’. I got so excited about it that I decided to support the project immediately after it launched its campaign on indiegogo. I also decided to try and interview the people involved in making the film. Relax, have a read and support this great project please! 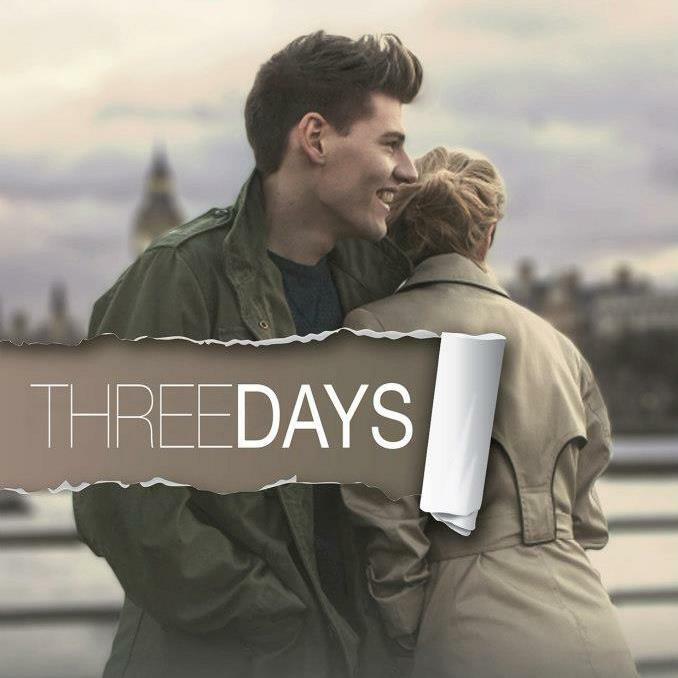 View of the Arts: I have to say that the story behind the ‘Three Days’ film captured my interest immediately, however, for those who don’t know the film could you tell me a bit more about it? Three Days film: Thank you! Yes, it seems to have captured a lot of people’s imagination and attention! But then love is a pretty engaging subject, particularly when you throw a twenty year age gap into the mix! 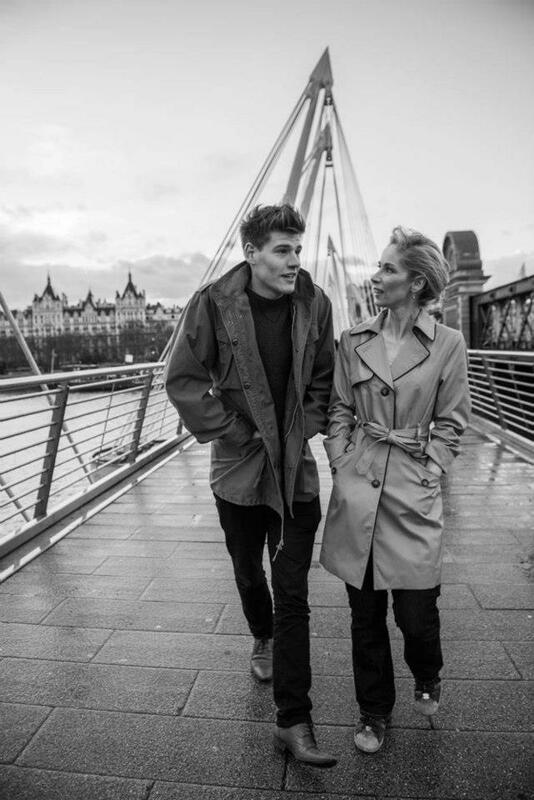 So – Three Days is the story of a chance meeting between James and Sophie and the unexpected attraction that is ignited between them as a result. James is a restless twenty two year-old with commitment issues and Sophie is a single forty three year-old with a settled routine. Neither of them are looking for romantic entanglements. And they’re certainly not looking to fall in love. And then they meet. It’s funny, warm, poignant and very British! View of the Arts: Who is behind the project and where did you get the idea for the film from? Three Days film: The concept and initial script came from Vanessa and she and Suzie cooked up the idea of making the film. Having worked on a previous short film together they were looking for an excuse to work together again! So Vanessa wrote an initial script. Vanessa was recommended to contact Richard about the role of James , which he accepted. 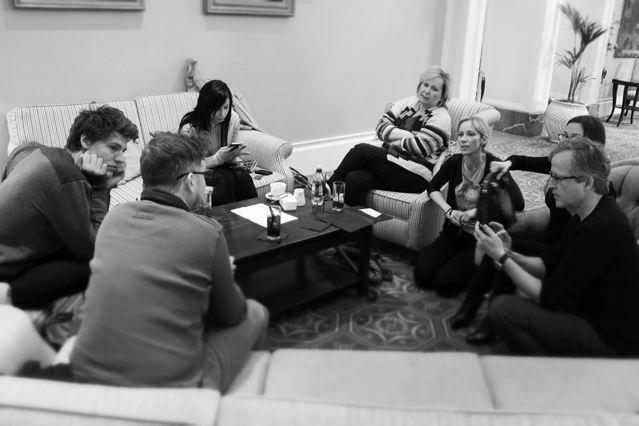 As they began looking at the script together Vanessa really wanted James to have Richard’s “voice”, and asked Richard to give input – but it didn’t stop there and they’ve ended up re-writing most of it together. They work really well together and a new script that better fits their character’s relational dynamic has emerged, as a result out of their partnership. View of the Arts: Could we have a few words about the actors and crew? Three Days film: We’ve got a fantastic crew with double BAFTA Cymru’s, RTS awards, Emmy’s and goodness’ knows what else to their name. We’ve really been incredibly lucky that people have wanted to come on board. Even our hairstylist, who actually approached us through Twitter having read the feed, is the owner of two 5-star salons in Edinburgh (he flies down to meet with us!) and has just been working London, Paris and Milan Fashion Weeks. There’s a huge amount of experience and creativity within the team. It’s amazing to have Lynn Hunter, the Welsh TV actress on board as our supporting actress. Lynn has credits including Submarine, Tracy Beaker, Casualty and Baker Boys and it’s very exciting to have her talent and experience brought to the film. And gorgeous accent! Richard and Vanessa are the lead actors. Vanessa was recently directed by Sean Durkin (Martha, Marcy May, Marlene) for an episode of Channel 4’s upcoming mini-series Southcliffe and also has credits for Casualty, Doctors, The Sarah Jane Adventures and indie film. Richard is a recent graduate of East 15, but is already gaining a knack for excellent acting through his critically-acclaimed theatre company Antler. Vanessa and Richard have a contained but very strong chemistry, it’s going to be an interesting shoot! View of the Arts: You have started a crowd funded campaign on indiegogo. Tell us more about it. Three Days film: Yes, we’re crowdfunding on Indiegogo. We have absolutely no other funding other than what we can raise through that. We’ve been developing the film for a year now and have done so out of our own pockets and for coffee and cake. It’s been a real labour of love. We hope the crowdfund will catch people’s eye. Due to scheduling issues with crew we have a fairly short time (much less than the average campaign) to raise a fairly large amount of money! View of the Arts: Do you think that crowdfunding is the future for independent films? If yes, why is that? Three Days film: Well, this is our first crowdfund, so the jury’s out – but it’s certainly a powerful tool which enables indie filmmakers to raise money they wouldn’t otherwise have access to. Funding is well-nigh impossible to secure, so this is the only hope for many filmmakers. View of the Arts: So when does the shoot start and where are you going to film? Three Days film: The shoot is pencilled for the end of April. Four days – two in Cardiff shooting all the interior scenes and two in London. View of the Arts: Is there anything you would like to say to encourage people to support your, in my opinion, great project? Three Days film: We’d love people to come on board with us – it’s going to be a beautiful, high-quality, British indie film to be proud of. The script is funny, feel-good and bittersweet and appeals across the generations and genders . And everyone loves love! But we genuinely can’t make the film without raising the money. With the whole team having worked so hard to get this far, we need the support of indie film fans to make this happen. Our team are ready to spring into action! Please have a look at the ‘Three Days’ film campaign and their facebook page.